Comfortable holiday home in a wonderful location near the quaint Lorgues (2 km). 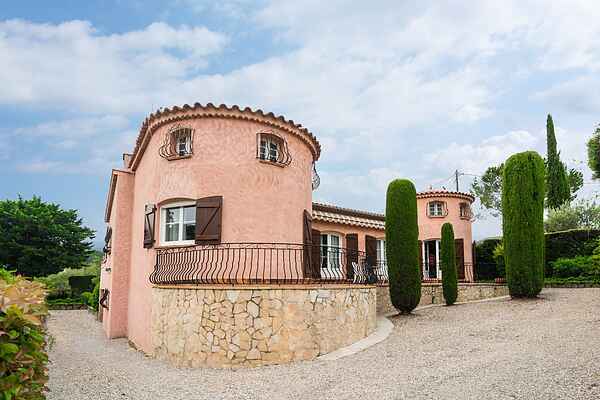 From the sunny, furnished terrace you enjoy the wide view; olive trees in your garden, the green hills of the Lorgues a little further away, and, if you look closely, the centuries old monastery. Down some steps you get to the second covered terrace, a fantastic place for barbecuing with the provided BBQ. There is also a rocking bench. At the front of the house you will find a third terrace. At any moment of the day you can find your favourite spot. The location makes this house ideal for people who prefer calm and comfort, but also want to go out every now and then. From Lorgues you can reach the beautiful Grand Canyon du Verdon (Europe's deepest canyon) or the coast (Fréjus, 40 km) in about thirty minutes for a lovely day at the beach. Do you like golfing? At the foot of the famous rock of Roquebrune (25 km) you will find a nice 18-hole golf course. Option: after golfing, pick up a bottle of wine for the evening at one of the area's distinguished wine châteaus. This will be a very comfortable vacation.